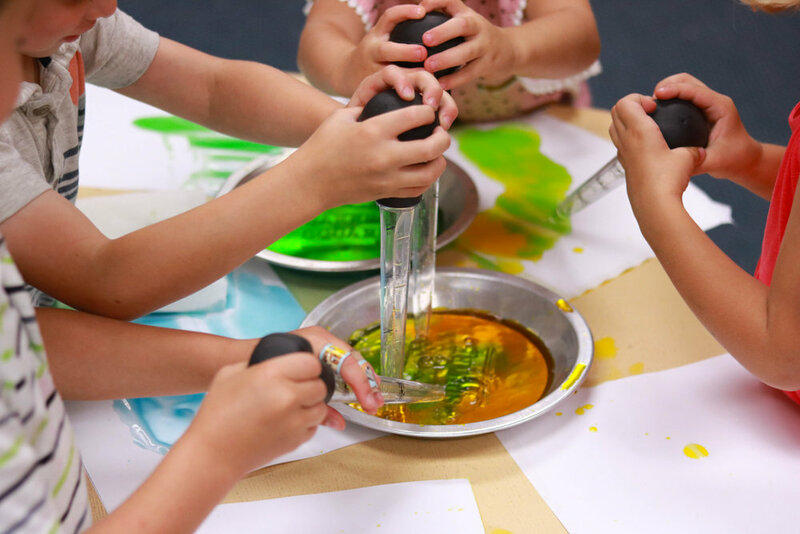 The 4's and Transitional Kindergarten class will be a year of discovery through art, science, cooking, and so much more! This year is full of hands-on fun and helping children to become independent learners. We believe students at this age need more one on one attention for optimal learning. this is why we maintain a 1-7.5 Teacher/Child Ratio with no more than 15 students in a classroom. We want to encourage healthy eating habits so we offer a healthy nutritious snack each day. We also offer a weekly music program and a 'Spanish for Preschool' program. *Early Risers/ 7:45am-8:45am/ $2 per 15 min. This is the last step before they are off to Kindergarten! We know this year is an important milestone in preparation for Elementary School. Whether you are sending your child off to public or private school, they need to be ready to grow and succeed. We also know that children's development is about more than learning their ABC's but also about forming social relationships, providing opportunities to explore the world around them, and learning in an environment that provides meaningful experiences that are also fun! Creativity and thinking 'outside the box' is what Silicon Valley was founded upon! We are focused on preparing your child for Kindergarten and beyond.